The daunting tee shot makes this par 3 so special. 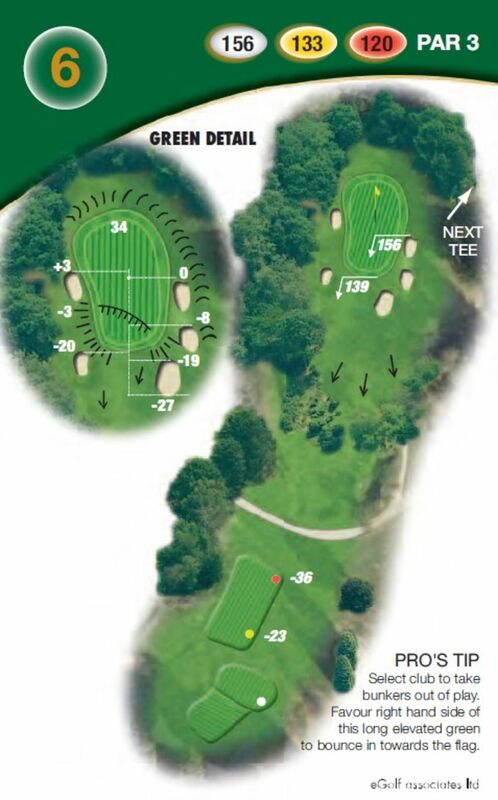 The green is surrounded by trees and is well bunkered. Shots to the left will normally end up in the trees; shots to the right usually find a bunker. A nice clean straight hit is required here. The long green can be tricky to judge. Walk off with a 3 on this one and you will be pleased. 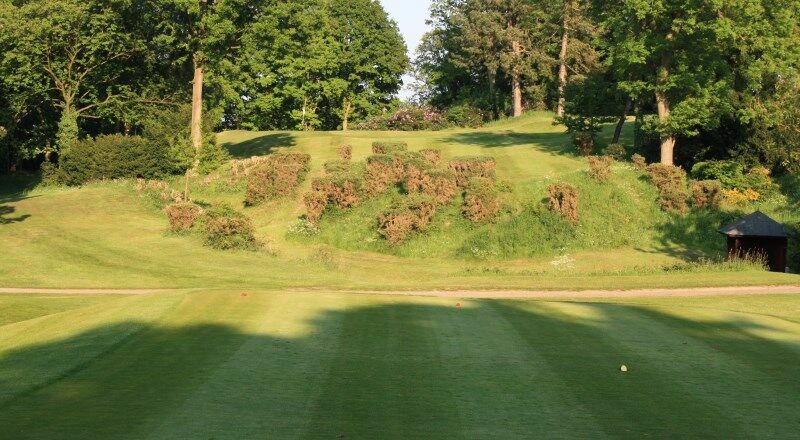 Select your club to take the bunkers out of play. Favour the right hand side of this long elevated green to bounce in towards the flag.